Would you like to meet in Berlin this week? 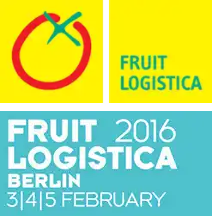 IT LOGISTICA is the leading international meeting place of the fresh produce trade. Over 2,500 companies from across the entire fresh produce industry – including global players as well as small and medium-sized suppliers from all around the world – will be presented in Berlin. Just drop us an email or give us a call and we’ll arrange to meet you at your stand. Perhaps that could be the start of something great for both of us. Hello! Welcome to our first blog post on our newly revamped website. Venture House, Endeavour Park, Boston, Lincolnshire, PE21 7TW, England. Registered Company Address: Westwood House, Church Lane, Wyberton, Boston, Lincolnshire, PE21 7AF, England.